Over 12 years ago I decided to take the plunge into door to door sales. I was a new sales representative in a new industry. Before knocking doors, I graduated from business and was working a corporate job. My previous work was not making me happy so I set forth to look for a new opportunity. I was looking for something that paid well. A career that was very rewarding. My intention to start door knocking was there and this is what I want to discuss in this article. 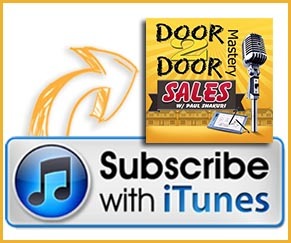 Are you new to door to door? 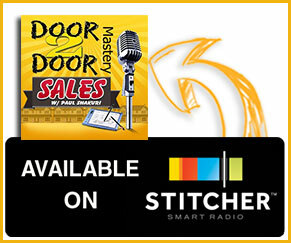 Are you wondering what it’s going to take to be successful as a entrepreneur door knocker? Here is the break down. Door to door sales works. It also works for everyone. What stops people from becoming successful at it is their beliefs and their commitments to growth. If you knew someone who was successful as a door knocker that is working at the company, the reality is, your odds of sticking around and eventually becoming successful goes up 10 fold. What kills a new sales rep from fighting the battle it takes to “make it” is the belief about them being able to “do it”. New sales representatives think 1 of 2 things. I can do this, nothing can stop me. I wonder if I can do this. Im going to give it a try. If I do figure this out, that will be cool. 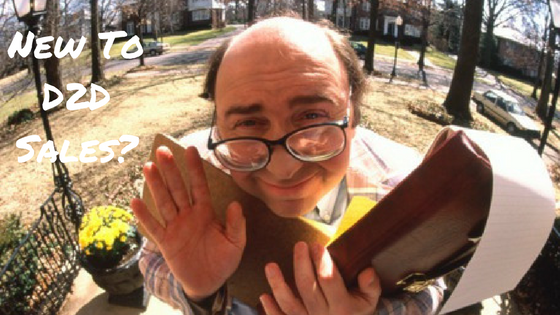 The sales rep with the “I can do this “mentality, has a better chance at succeeding as a door knocker. The issue is its not enough to succeed. Those reps who start off with that mentality (me being one) get hit with the reality of “failure” early. The rejection you get at the doors, especially when starting, is not something that is easy to handle. Its very simple to tell yourself “this doesn’t work!” but why? Well, the human mind by default wants to stir away from “pain and failure”. We do not like to feel pain or let down. 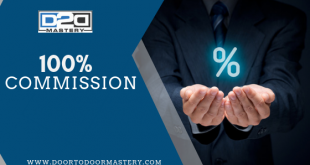 The typical pay structure as a door knocker is commission only. Going out, working hard, and somehow believing that “things are going to be ok” is not natural. Its not a natural mindset programming that most of us have. The good news is, some do. Some people, have conditioned their mind to “hustle”. Is that you? If it is “congrats”, if its not, it’s up to you to get on the entrepreneur juice and start studying. The human mind can be taught. It’s not easy, but over time and being dedicated to making it happen, you can and will succeed. Failure or the thought of failure will always come. What you do with it determines your outcome as a sales person. Anyone can succeed at door to door sales but very few “absolutely” choose to. If you are reading this and you are in the second category of “I’m going to try this out”. You are behind. You have an huge upward battle to climb. The first step is to take your mind out of that mindset and step into the belief and trust. This will take time and work. Based on statistics, I personally believe very few people have the mind power to do this. Im not saying its impossible what I’m saying is: Very few people have the will power to make this work. I like to be real with people and put them in control of their destiny. At the end of the day, if you are going to want to be successful as a door knocker, your going to have to be willing to develop and grow. Look at the big picture. Stop looking at the weekly pay check. Look at the yearly income it will generate you as you grow. Condition your mind to commit. I like winner and I love surrounding myself around them. If you believe you have what it takes, comment below what you thought about this article and lets get connected. Previous Having issues closing deals? Let’s discuss. Hello there I am so glad I found your webpage, I really found you by accident, while I was searching on Digg for something else, Nonetheless I am here now and would just like to say many thanks for a marvelous post and a all round entertaining blog (I also love the theme/design), I don’t have time to go through it all at the moment but I have saved it and also added in your RSS feeds, so when I have time I will be back to read a great deal more, Please do keep up the fantastic work. Hi, my name is zennaidia johnson and this article was very helpful for me. Im new at door knocking but im ready to learn. I’m starting my new job today. I’ve made nearly 6 figures last year selling windows, but I was the one who ran the appointments the door knockers set for us. I’ve gotten over the feeling that door knocking is below me and with your help, I’m optimistic that I’m going to be more successful at this than I was at selling windows. The biggest thing I feel like I’m learning from you is about becoming tougher mentally. I’ve quit my last couple jobs after just a few weeks because I was just going to give it a try. I’m fully committing to this. I even moved to Mesa, AZ from OKC. Let’s meet up! this is how you make BANK ! and you get your customers inviting you in for dinner and going to their weddings !! yes I had many invitations for this !